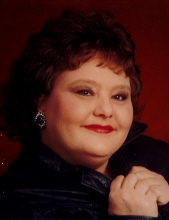 Cherryville - Mrs. Ann Wall Burchfield, 52, of 313 White Street, passed away on Saturday, January 26, 2019 at Novant Health Presbyterian Medical Center in Charlotte. Ann was born on October 18, 1966 in Gaston County, NC a daughter of the late James Wall and Lina Mae Pilkington Wall. She was employed by Bojangles in Cherryville. In addition to her parents she was preceded in death by her husband, Dan Burchfield and a brother Paul Wall. Survivors include three stepsons, Chad Burchfield, Robert Burchfield and Timmy Burchfield; a stepdaughter, Sharon Burchfield; a sister, Judy Hester of Cherryville; four brothers, Joey Wall of Lincolnton; Randal Wall, Terry Wall and Billy Wall all of Cherryville and also surviving are four grandchildren. Visitation will be from 12:45 to 1:45PM on Wednesday, January 30, 2019 at Cherryville Missionary Methodist Church. Funeral Services will be held at 2:00PM on Wednesday, January 30, 2019 at Cherryville Missionary Methodist Church with Rev. Bobby Holtsclaw officiating. Stamey-Cherryville Funeral Home & Cremation Service is serving the Burchfield family. To plant a tree in memory of Ann Wall Burchfield, please visit our Tribute Store. "Email Address" would like to share the life celebration of Ann Wall Burchfield. Click on the "link" to go to share a favorite memory or leave a condolence message for the family.